Vibrant health is something we all should aspire to. In this world of ever-increasing demands and stresses, a good diet is not enough to provide our bodies with the necessary nutrients to cope both physically and mentally. Supplementing our diets with good-quality vitamins and minerals can give us the extra nutrients we need to keep our immune systems strong to help ward off illness. One of the leading nutritional companies in the world is USANA HEALTH SCIENCES, one of the few to manufacture to pharmaceutical grade. Their scientists have spent decades researching the complex nutritional needs of our body's cells. The result is a line of synergistically designed, properly balanced, correctly formulated and naturally sourced nutritional products that have a safe and positive effect on our health. Our cells are intelligent: trillions of them constantly communicating with each other, working together to run our bodies without us even noticing. This natural process is called 'cell signalling' and it's the new chapter in cellular nutrition. As a result of innovative research in molecular biology and genetics, USANA has developed InCelligence™ cell-signalling technology that taps into and enhances the power of this cellular communication network. InCelligence™ deploys a powerful blend of nutrients to unlock the body’s potential utilising cell-signalling to tap into one's own inborn cellular intelligence. It's a technology that supports the body’s natural process for mitochondrial renewal and stimulates the cells' production of their own endogenous antioxidants . Usana’s scientists have identified blends of powerful nutrients that speak our cells’ language, allowing them to join in their conversations and deliver important messages related to our health. By identifying specific cell-signalling pathways and further utilising them, we can improve and protect the natural, healthy activity of our cells. This revolutionary cell-signalling technology is a dramatic step forward in nutritional science, pushing the frontiers of cellular nutrition and expanding the horizons of personalised health. We now have the potential to maintain youthfulness by slowing down the ageing process of our cells, enabling us to enjoy vibrant health throughout our lives. Usana’s skincare range is called Celavive™. Featuring the InCelligence™ technology, Celavive™ awakens the body’s natural ability to activate youth-preserving beauty functions within the skin itself, going beyond traditional skincare regimens. With targeted nutrient combinations and powerful peptides, Celavive helps support the fight against visible skin ageing. Celavive also features Olivol®, a botanical blend comprised of fruit extracts that have been clinically shown to provide twenty four hours of rich hydration after just one application. Celavive’s products include options for all skin types so you can build a truly personalised regimen. By combining the best of nature with the very best of USANA science, the results are astounding. 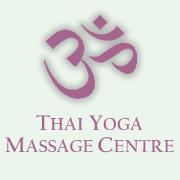 "I have been using Fiona's services for over 7 years for Thai and Swedish massage. She has a very caring and professional flair about her. I love and always look forward to the massages as I find them extremely beneficial both for my body and soul as well as feeling on top of the world. Brilliant work, fantastic and unique individual . I am so lucky to have found her and will hold on to her for as long as she has her services available."